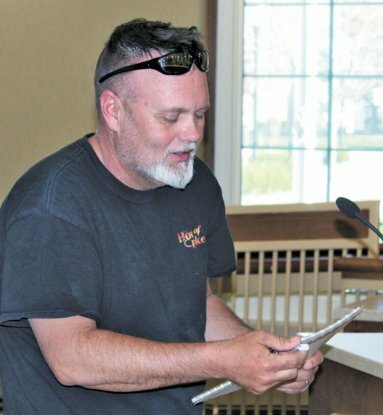 Health officer encourages safety first this summer – Ripley Publishing Company, Inc.
Kable McAlpine of The House of Brisket, brought concerns of possible rising costs of vendors to Ripley County Health Board last week. He said he comes to the county frequently, and wondered if they could set a cost for the entire year. Dr. David Welsh, Ripley County Health Officer, spoke about things that will make springtime go smoother. First, he said safety was of the utmost importance. He encouraged residents to get rid of anything that is holding water. Speaking of water, he asked, “When was the last time you had your well water tested? If you can’t remember, then it’s a good idea to go ahead and get it done.” That can be done by contacting the local health department. “When I’m at other meetings I attend, I tell people they should come to Ripley County to see how gun safety is handled there,” he told members of the health board. He said he is proud of how people in the county participate in gun safety classes, etc. and teach the younger generation the importance of gun safety. Dr. Welsh says he wanted to encourage people to check on our local veterans. “See if they’re ok. If they’re not, get them help.” He talked about suicide being very high among veterans. Do you have a disaster safety plan? Dr. Welsh also spoke about getting that together if you don’t have one. He noted that the plan should include medications, having family members know where to meet in case of a disaster and having extra water and non-perishable food items on hand. “Check on older family members and don’t forget about your pets,” he said. Another simple idea that has a two-fold impact is walking your dog. Dr. Welsh said “walk your dog” encouraging people to move about, go to the park where you and your pet can exercise. He also promoted growing your own vegetables. Dr. Welsh talked about a new peanut allergy inhibitor that had just been released on the day of the meeting from the University of Notre Dame. He said it’s an exciting time for those who suffer with peanut allergies. The inhibitor blocks the site allergen. The meeting continued with the proposal to raise food permits for vendors discussed. Some research with other counties has helped them come up with some prices, according to Holley Rose, health department director. This led to a discussion with Kable McAlpine of The House of Brisket, coming before the board with his concerns. McAlpine has a rolling vendor trailer that he pulls on site to sell a full menu of smoked meats and more. “This is the only county that I have to pay a fee every time I come,” he noted. He said Dearborn County was $125 per year; Jefferson County, $185 per year etc. He said he’s been to Ripley County twice this year, but isn’t sure he’s going to come back multiple times if he has to pay the fees. And, if the proposed fees are put into place it would be double what he is paying now. The health board’s only concern with a one-time fee was that their inspector wouldn’t know where and when he was coming. “I’m willing to call or email each time I come to give that information,” he noted. He said he perfectly understands the process of food inspection and welcomes the inspector. The board agreed to table the new rates until they have time to rethink McAlpine’s situation. Rose announced that the health department can now take United Health Care insurance. Pat Thomas, financial manager/grant coordinator told the board they have received a grant for 65 units of Narcan, the drug used to combat opioid overdose. She said they should be getting the first kits any day. They discussed how they would be distributed and tracked. Dr. Stephen Stein said, “From a medical standpoint I think we should find out who they are going to and direct them to treatment.” Rose said she agreed and the kits they will be distributing to their partners will have information to be filled out and sent back to the health department. Under public comments, Sara Patterson, TPC Coordinator, approached the board saying she took offense to an article that was published in the local newspaper saying she hadn’t done her job. She said, “Not one person of authority has come to me and told me what to do.” She said she lacked direction concerning the state grant that would have paid her salary after June of this year. The paperwork was not completed by the state’s deadline, therefore the position she is filling will end in June. The health board adjourned to an executive meeting. The date of the next Ripley County Health Board meeting will be July 23 at 5:00 p.m.
Statistics for the first quarter from the Ripley County Health Department were released at their April meeting. Fees collected for flu vaccines were $20,051.88. There were 39 blood pressure checks, 54 TB tests, 11 sugar tests, 156 adult vaccines, 22 adult flu vaccines, 378 children flu vaccines, 11 home/school visits, 52 communicable disease investigations, 54 for various diseases including 2 lead tests. Site surveys $60; OSSDS permits – $340; contractor registration – $450; food establishment permits – $4825; food citations – $50; tattoo establishments – $200; tattoo artist -$50; for a total of $5,975 received. Animal bite reports – 13; tattoo/body piercing inspections, permits, artists permit -1. There were 3 trash/garbage ,housing, insects/rodents, bedbugs complaints; and 3 mold complaints. Birth certificate fees, $6,720; death certificate fees, $3,780; Genealogy fees, $4; Amendment fees, $20; Total fees from January, February, March of 2019 were $10,524. Coroners’ continuing education fund, $850.